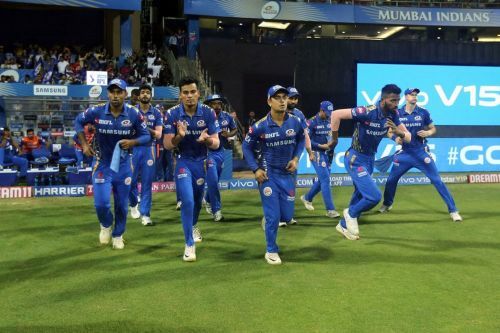 With four wins in their last five games, Mumbai Indians (MI) are looking good at the halfway stage of IPL 2019. They are currently placed third on the points table with 10 points (five wins and three losses), tied on points with the Delhi Capitals but behind on net run rate. After playing three successive home games at the Wankhede Stadium in Mumbai, the Rohit Sharma-led side now have four consecutive games on the road. The first of those is against Delhi Capitals at the Feroz Shah Kotla in Delhi. The Delhi Capitals (DC) have won three games in a row now and are high on confidence and momentum. However, a win for Mumbai would take them to the second spot on the points table, so there is a lot to play for. Coming to the team news, Alzarri Joseph, who injured himself while fielding in the game against Rajasthan Royals, has been ruled out of the tournament with a dislocated shoulder. He didn’t play MI’s last game either and was replaced by Lasith Malinga. However, there are no other injury concerns for MI. Here is how Mumbai could line up in their game against DC. Rohit Sharma hasn’t really fired in this IPL. He has got starts but has failed to cash in and get big scores. Despite that, he is MI’s second highest run-getter this season. At the top of the run-charts for Mumbai is Quinton de Kock. The South African wicket-keeper batsman has given his side some blistering starts this season and has accumulated 278 runs in eight innings so far. Suryakumar Yadav has blown hot and cold this season. He hasn’t achieved that consistency, throwing away quite a few starts this season. He has looked good on multiple occasions but has failed to convert it into anything substantial. Ishan Kishan came out all guns blazing in the last game as he smashed three sixes in nine balls, en route to his score of 21. However, he hasn’t produced a significant knock yet this season. Krunal Pandya has struggled for fluency with the bat in this edition of the IPL. He has looked a pale shadow of himself. With the ball, he has taken five wickets but has been on the expensive side. Meanwhile, his brother Hardik Pandya can do no wrong, especially with the bat. He’s finishing games for MI with complete control and authority. He has amassed 186 runs at a strike-rate of 191.75 this season. He has chipped in with the ball as well. Kieron Pollard has played one big knock but has had a quiet tournament apart from that. He will look to get back into his groove against Delhi. Rahul Chahar hasn’t really been amongst the wickets but has kept a check on the scoring rate. Meanwhile, Lasith Malinga returned to the side with a Man of the Match performance as he picked up 4/31 against RCB to help MI win that game. Jason Behrendorff has picked up five wickets in as many games. He was expensive in the last game but picked up the big wicket of Virat Kohli early on. Jasprit Bumrah continues to lead this Mumbai Indians attack, delivering in crunch moments. He might not have taken a large chunk of wickets this season but he has had a massive impact already.